Help Reach Out by purchasing this item! 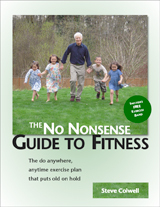 The do anywhere, anytime exercise plan that puts old on hold. A fresh perspective on making the rest of your life the best of your life. Give the gift of better health to your friends, parents, and colleagues!